If you have been following along on my solar journey, thank you for your interest, and if you haven’t noticed, I’m very excited about going solar. I’ve had my net meter for a little over a month, so I’m happily connected to the grid. Of course, if you are enjoying this nice, wet, cool (and not very sunny) August and September we are having, you can thank me. These graphics are part of the remote display for my solar panels. They allow me to see how much energy I’ve made that day, and it also gives the status of all my panels so I know that everything is working OK. This screen shows my daily solar energy output. Each row is a month, and each square is a day. 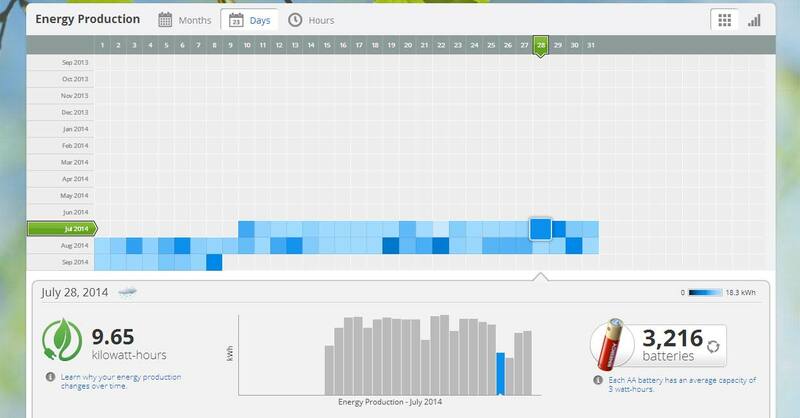 You can see on July 22 I had my maximum production of 18.3 kilowatt-hours. 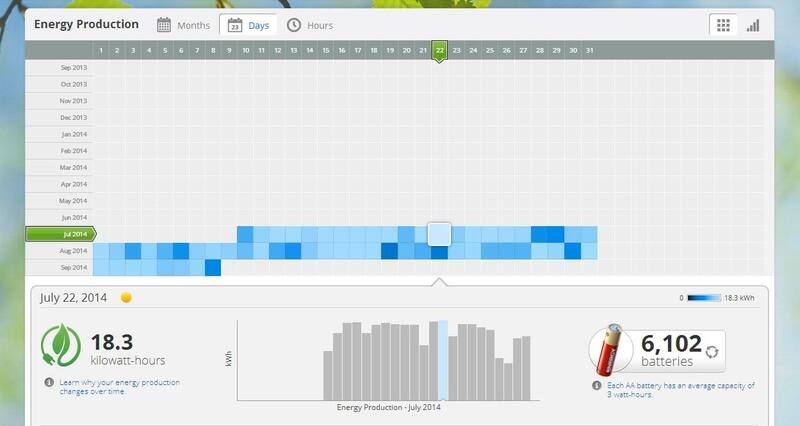 Anyone want to guess what day my net meter was hooked up to the grid and I started getting credit for my energy? July 28. The darker the square the less energy, and if the sky is cloudy, the panels aren’t as busy. That’s OK though, I’m still making energy, and I use the air conditioner less when temperatures are cool so it all works out. With my panels, I only used 1 kwh this year per day compared to 27 last year. How awesome is that? I just got my first fully solar energy bill, and I’m pleased to share that even with our cloudy August, I’m only using about one kwh per day more than I’m making, which is about a 96 percent reduction over my usage from last year. My solar panels produced 261 kwh during the 30-day period on the bill. In short, I’m very pleased with my decision to go solar. I can’t wait for next month’s bill and to see how my kwh accumulate over the winter. It’s not too late to go solar — the deadline to participate in the U Community Solar Program was just extended, and now you can apply through Oct. 24.
my panels (261 kwh). 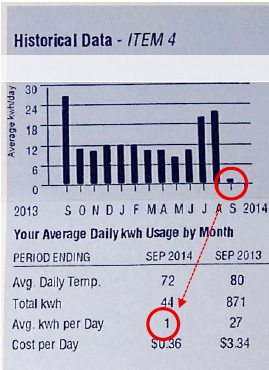 The difference (44 kwh) is what I had to pay for this month.